We are very happy with the system and have had a number of people stopping to ask questions about the system. We haven’t yet had a electricity bill to know the exact production and savings but are sure we will be pleased when the bill comes. Everybody is surprised at how unobtrusive the system is. Very good – all staff were happy to answer my many questions. The website was great. Our quote and information given was excellent and the boys who did the installation were terrific. Follow up connection was good. 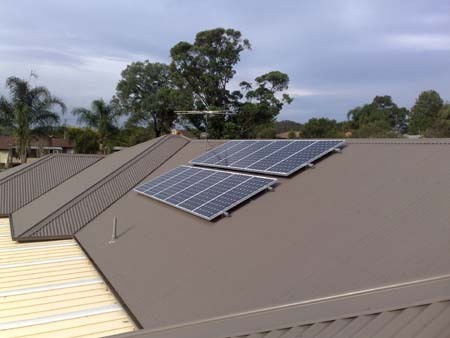 We have had so many questions about the system and who installed it that a sign out the front saying System installed by Superior Solar and the phone number would have been very handy.